It was a great time to be a fan of the genre and the source material. I mean, we were getting announcements of a Doctor Strange movie of all things, it was crazy to even believe that could happen during the early says before the first Avengers. All the time though, while that snowball of prior note continued to grow, there was this little voice inside my head, nagging me that if releases kept growing at this exponential rate, it was going to burn me out. Especially if I wanted to keep up with all of it. It was when I was writing my top ten movies of 2017 list a few months ago: it happened. I realised that I couldn’t muster a strong passion for movies like Thor: Ragnarok or Guardians of the Galaxy vol. 2 anymore. These were movies that, had I seen them a couple years prior, I would have been bouncing off the wall with excitement. This year, they were just two more strong movies out of the Marvel studio. Which is crazy to think. As good as they were, I was more excited to see movies like IT and Bladerunner, both of which brought something different to the table. With my for this genre at a pretty low point, it came as a genuine surprise to me that upon seeing the trailer for Infinity War, I was still excited about it. I mean, I’m not losing sleep over it like I might have been with the first Avengers or Civil War, but I am looking forward to see how Marvel and Disney manage to finish off on their cinematic series 18 movies in the making. You may have noticed I said “finish off” just then, well you read right. This movie, in all honesty needs to act as a finale to the 18 movies that came before it, because if it doesn’t and it fizzles out like Ultron did, then what is the point of all this buildup if there is no payoff? Don’t misunderstand me though, I don’t want Infinity War to be a hard finale to the series. I mean, this is a series of movies based on comic books, a collection of stories that, by their very nature, continue on for perpetuity. Every huge crossover event that happens in the comics has an end, but those characters continue onward, slowly building up to their next crossover event, repeating the process over and over. But, on occasion, these huge events shake up the status quo of the comic book world in a major way. They shake the cage to such an extent that they act as soft resets to the continuity of the world, allowing for significant changes to me made and the updating of things that otherwise would have been tricky to pull off. 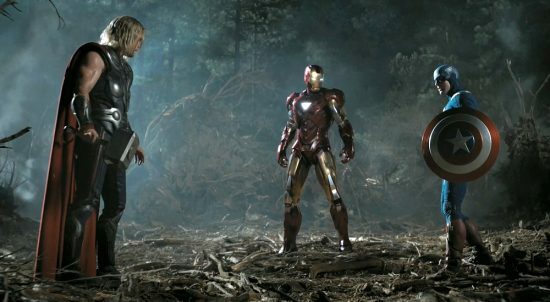 As much as I like the big three pillars of the Marvel Cinematic Universe in Tony Stark, Steve Rogers and Thor Odinson, and the enjoyment they’ve brought to me as a comic book fan (nerd) and a movie fan (nerd), they can’t go on forever. This isn’t the comic books, the actors playing these roles want and need to move on with their lives. Downey Jr has eight credits as Tony Stark, Chris Evans has seven credits as Cap and Chris Hemsworth has five credits as Thor. The rumours have been changing constantly concerning these actors and their passion for continuing in these long running roles. While recent interviews and rumours want us to believe their desire to continue has been rejuvenated, in at least two of these cases, there are character arcs within the movie I would like to see resolved, and that feels like it would mean there would be some finality to their characters as a result. I would like to see a conclusion to Tony Stark’s self redemption arc. His character seemed to be on a pretty set trajectory throughout his appearances, but recent movies have had him taking the odd steps backward for every piece of character development he gets. I get the feeling that where ever Downey Jr’s character ends up at this point isn’t dependant on the arc that the writers initially had planned, rather it’s whatever Downey Jr himself dictates as he seems to be worming his way into having more sway on the direction of the franchise. That’s just conjecture though, I wouldn’t be surprised if his character dies in this movie like it felt like it was implying since Avengers 1. As I’m on the topic of inserting my own unreasonable desires for where the movies go from, let’s continue down this rabbit hole. With the amount of new characters being added to the cinematic franchise as time has gone on, I’d like to see them making the step up going forward. 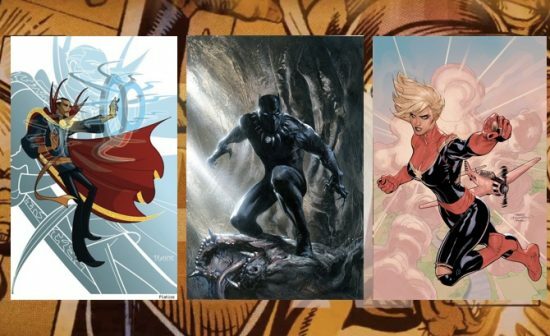 Allow the likes of Doctor Strange, Black Panther and Captain Marvel to take the reigns and drive the series forward. Marvel are pushing these characters pretty hard, it would be a shame if they get their own movies and end up playing second fiddle to the big three every time they show up in a crossover movie. It’s not like you need to remove Iron Man, Captain America or Thor from the franchise altogether anyway. There is a ton of precedence in the comics for other characters to take over these roles, decades of it in fact. Hell, both Bucky and Falcon have taken the mantle of Captain America in the past, why not have the next Captain America movie star the two of them, both trying to become the new Cap, to continue his legacy. Anyone can wear a suit of armour and become Iron Man, plenty of people have taken up the role while Stark has been in various degrees of drunken stupors. And Jane Foster has been current Thor for a long time in the comics now. The paper based stories around these characters are being a lot more progressive with their iconic characters currently and I’d like to see the movies go down a similar path. Hell, let’s get weird with it.. After the relatively recent Secret Wars event in the Marvel universe; all of reality was broken and then put back together haphazardly. Resulting in characters from spin-off stories and alternate dimensions finding their way into the mainline universe. Old Man Logan, Spider-Gwen and Miles Morales to name a few. 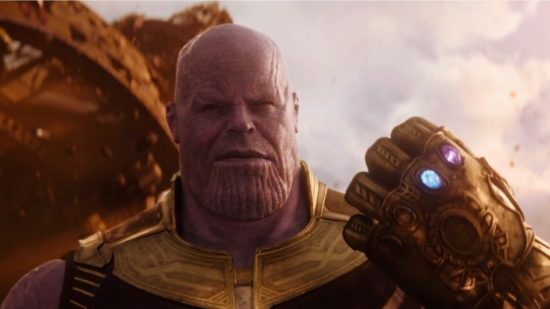 You’re going to have Thanos wielding the Infinity Gauntlet, filled with the macguffin stones from the previous movies that have done all variety of impossible things. Why not have multiverse collide. It would be a great excuse to rectify old mistakes or recast some actors who might not be as willing to work with Marvel in any long term deals any longer. Hence the soft reset. If they want to keep this franchise running for another 20 potential movies. They need to get some fresh blood in, not just because old actors get tired, but to keep audiences and talent interested. It would stop older actors strong-arming production and future plans with their own appearances becoming their own blackmail. It would also give you the chance to create more diverse roles other than “handsome white dude”. Sorry to get a bit inside baseball there, but it’s a legitimate reason to think about it. I’d also like to see Marvel and Disney start making some deeper pulls and giving lesser known characters the chance to shine. The movies are so established now that you don’t need the big name superheroes to keep interest in the franchise. Make a Blue Marvel movie, Spectrum, Nova, Ms. Marvel. Why haven’t we seen them do anything with She-Hulk? They have enough traction now that they could throw anything at the wall and make it stick. I’m well in the realm of fantasy by this point though. With that in mind, after Disney’s recent acquisition of Fox, anything could happen. Depending on what they decide, the X-Men and Fantastic Four could eventually be rubbing elbows with the likes of Spider-Man, Black Panther and the Wasp not too far down the line. 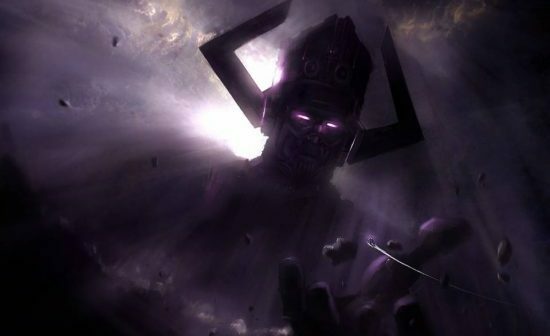 All I know is that I’m very hopeful that the next big villain that we’re going to get 25 movies from now is going to be Galactus. Although they’re already laying groundwork for Dormammu and I don’t think a little thing like high profile business aquisition is going to detail that. Climbing back out of my fantastical, fanboy rabbit hole we took a tumble down back there, I would like to see a fresh start from the MCU, even if it’s only the softest of reboots. Events surrounding Tony, Cap and Thor have been getting bigger and bigger and it has to come to a head in Infinity War. There is no way they can top themselves after this, no matter how they try it. The best thing for them to do is take a breath and give their audience some time to cool off with something less climactic and more light-hearted, at least by comparison. That’s the approach I can see them going with, which is why Ant-Man and the Wasp is going to follow it. 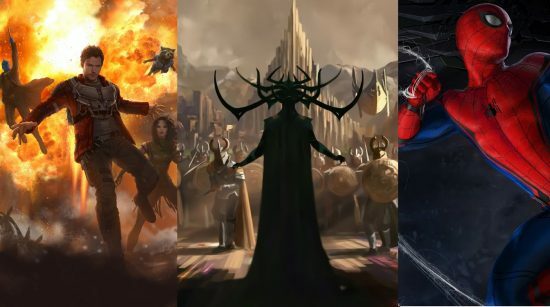 But when that untitled Avengers movie comes up next May, it needs to be a slower, passing of the torch type movie that sets up their next three big phases that can build up to their next huge event, probably revolving around an extra-dimensional demon with a flaming head. Otherwise I’m just going to find myself in the horrible position of losing interest in the Marvel Cinematic Universe, as crazy a concept that sounds. Posted on January 29, 2018 January 24, 2018 by WooderonPosted in Features and/or Ranting:, MoviesTagged black panther, captain america, infinity gauntlet, infinity war, iron man, marvel, mcu, movie, spider-man, thanos, the avengers, thor.